The Odyssey7Q+ is the most advanced, most capable, most versatile monitor/recorder in the world. 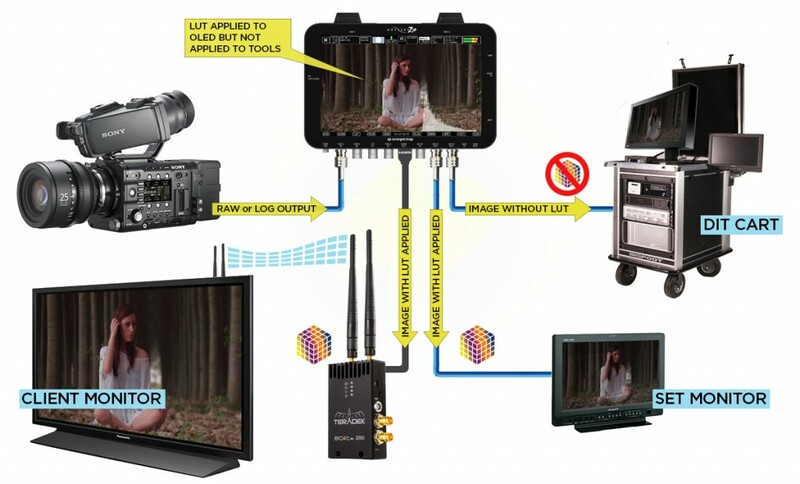 The Odyssey7Q+ can record HD/2K/UHD/4K. It can record them via SDI and HDMI. It can record RAW (with Odyssey RAW Bundle), uncompressed DPX, and Apple ProRes 422 (HQ). The Odyssey7Q+ features an OLED 1280×800 monitor with true blacks, accurate colors, extended color gamut and a 176 degree viewing angle. The industry’s best RAW and Apple ProRes recorder. 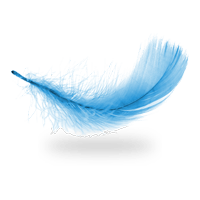 Proven in cinematic production, documentaries, television and more. Whether you deliver 4K or HD it’s a production powerhouse. Odyssey7Q+ is a feature-rich professional monitor. 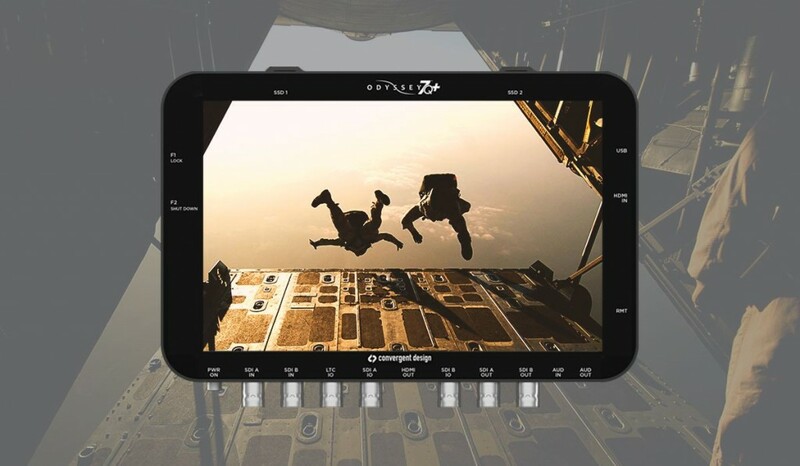 The Odyssey7Q+ combines Convergent Design’s knowledge and experience of both broadcast and cinematography recorders, while adding the capabilities of a high-end professional monitor. Odyssey is a brilliant 7.7″ OLED monitor with 3400:1 contrast, true blacks, 1280×800 resolution and powerful monitoring tools. With the traditional LCD, the bulky display cell of the LCD is backlit with a line of lights or a single lighted panel. With LED, the LCD cell and assembly is still backlit but with individual lights, making up a large grid of individual lights. What makes OLED displays better is the infinite contrast and true black. Long gone are the days of a white wash effect that turns dark bold colors into lighter colors because of white backlighting. Now all colors are projected as their true color, not just lit up with white lighting. View clip info, select and play single or multiple clips, loop or single playback options and more. Set in/out markers for clips and scroll through markers easily during playback and use them in NLEs like FCP and Premiere. For optimized workflow and EDL, Good, Bad or open text notations can be easily set for each clip. Swipe back and forth using the touchscreen or use the standard transport controls with step/ffwd/rew. View clips on the OLED display or output to up to three external monitors via HDMI or SDI. 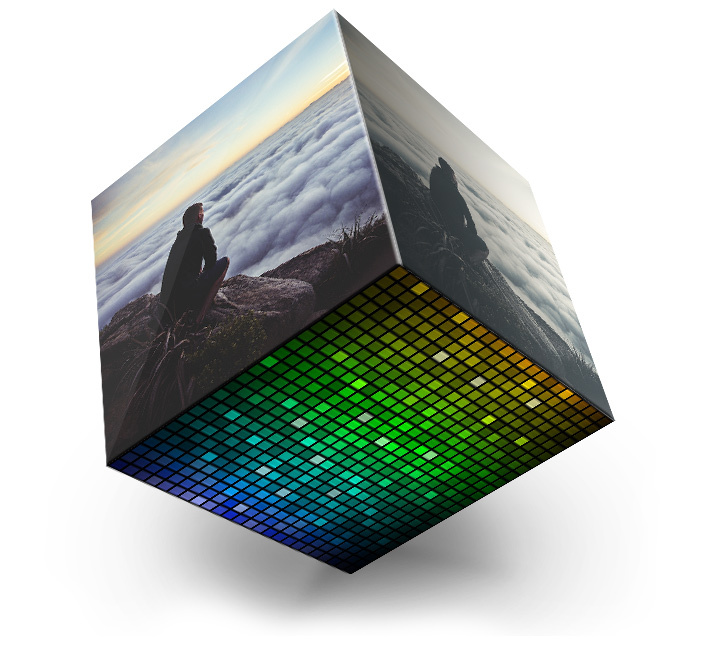 Customize the display of LUTs & overlays individually on each output. You can easily turn the LUT on for a client monitor and keep it off for the DP or others. The Odyssey7Q+ was designed to work flawlessly with professional cameras. It features 4x SDI inputs, 2x SDI outputs, HDMI I/O for recording 4K via HDMI as well as LTC and analog audio. Power options are available to suit any production environment. Features like a professional-grade OLED touchscreen display and dual SSD slots make the Odyssey7Q+ a truly professional tool. With true black, extremely accurate colors and a highly-responsive touchscreen the Odyssey’s 7.7″ OLED display makes a big difference in the production environment, giving you the ability to see exactly what’s being captured. 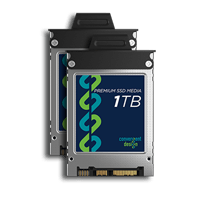 Odyssey’s dual-SSD architecture gives you it the capability to shoot for extended periods of time without swapping out media and also the ability to capture video or RAW signals at extremely-high data rates. 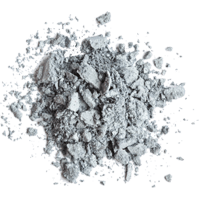 The Odyssey’s extremely durable body is built from high-quality cast magnesium. Magnesium is the lightest structural metal currently available in the world. It’s about 34% lighter than aluminum and 50% lighter than titanium, with a high strength-to-weight ratio. Odyssey won’t weigh you down. Due to its extremely high quality components and elegant design, Odyssey won’t weigh you down. Weighing in at just 1.3lbs (560gr) Odyssey7Q+ weighs a little more than an iPad Air and a little less than a venti latte’. The finned case of the Odyssey acts as a heat sink which allows heat to be shed away from critical components to maintain a high level of performance with no fan noise, no moving parts and none of the overheating issues to interfere with production. Focus Assist mode enhances an image to indicate elements within the frame with sharp edges that define focus. The Odyssey Focus Assist features three display modes. PEAKING Edge detection based on contrast, with variable sensitivity. 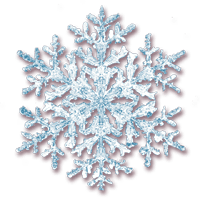 Image can be displayed with edges highlighted in red, green, blue, black white or yellow. Or only detected edges can be displayed as white, with other image elements in black. REVEAL A more aggressive, complex focus detection system. Sharper objects highlighted, with a variable sensitivity control. Can be combined with Peaking under that control’s menu. ENHANCE Simple edge enhancement display. Allows for easier judging of focus by artificially augmenting sharpness on the OLED display. Pixel Zoom enlarges a section of the image on the OLED panel to better judge focus and other aspects of the image. The resolution of the video area of the OLED panel is 1280×720. 1:1 zoom and 2:1 zoom enlarge a select section of the image to a pixel-for-pixel crop. 1:1 shows a 1280×720 crop from a 2K/HD signal, 2:1 shows a 1280×720 crop from a 4K/UHD signal. 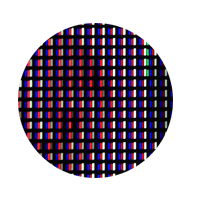 Hyper Zoom modes show a reference window on the image and an enlarged representation of the image within that window on the lower right corer of the OLED screen. Hyper Zoom modes include 4:1, 6:1, 8:1, 10:1 and 12:1. The Odyssey Pixel Zoom offers the unique function of allowing the enlarged window to be moved within the image frame simply by dragging a finger or stylus on the OLED screen. Zebras is an exposure tool to indicate any part of the image that is at a particular brightness. Zebra patterns can be represented in Black, White, Red, Green, Blue, Yellow, Cyan, or Magenta colored stripes, and the underlying image is visible in between the stripe lines. Brightness range for each Zebra pattern can be individually selected with a high and low setting or that Zebra pattern can be switched off. Ranges can overlap, and any exposure value not selected will be represented as it appears in the underlying image. Spot Meter is an exposure reference tool, presenting a brightness reading at a selected part of the image in both brightness (Luma) as well as the three separate color channels (Red, Green, and Blue). The Spot Meter can be set to display a single-measurement target, two-measurement targets or eight-measurement targets. A graphic comparison display can be set to show the two target values side-by-side or the differential between them. A Histogram is an exposure tool indicating brightness by volume of image across a horizontal plane. The brighter the image the farther it is to the right. The more of an image registering at a particular brightness the taller the line graph at that brightness. It can be set for overall brightness (Luma), with the three color channels separated (RGB Parade), or as the individual color channels only (Red, Green, or Blue). A Waveform is an exposure tool used for measuring the brightness of the image throughout the frame. It can be set for overall brightness (Luma), with the three color channels separated (RGB Parade), or as the individual color channels only (Red, Green, or Blue). The Waveform display aligns left-right to the image on the OLED display. In Multi-Stream mode, if two images are displayed side-by-side then the Waveform can be used to compare the signals. False Color is an exposure reference tool, attributing different colors to various brightness portions of the image. Available colors are Red, Yellow, Pink, Green, Blue and Purple. A video signal is measured in a scale from -7 to 109, often marked as a % or with the suffix IRE. A Vectorscope measures the color spectrum represented in the video signal. Different hues are represented by the rotation around the circle. Different saturations are represented by the distance from the center to the perimeter of the circle. Reference targets represent specific values in both hue and saturation. Two diagonal lines bisect the Vectorscope circle. The “I” line passes from orange to blue hues, and roughly represents the tonal reference for common skin tones. The “Q” line passes from green to magenta and is useful in indicating imbalance between those opposing hues. A Look Up Table (LUT) is a set of exposure, contrast and color offsets to adjust an image. Originally designed as a tool to indicate on one display how an image would appear on a different type of display, LUTs have expanded to also become tools to preview color grading decisions. 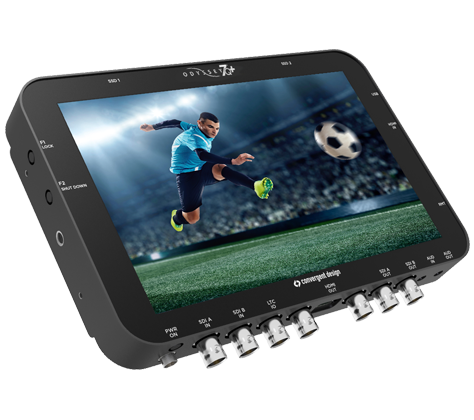 The Odyssey7Q+ includes numerous 3D-LUTs for previewing the LOG video outputs of several popular cameras in standard REC709 contrast and color. Monochrome represents the individual color channels (Red/Green/Blue) or the overall brightness (Luma) in a gray scale image. Frame Guide presets available are 1.33:1, 1.85:1 and 2.39:1. Odyssey also gives you the ability to name and save up to four custom frame guides. Left/Right control sets frame sides. Top/Bottom control sets frame lids. Linking adjusts Left/Right or Top/Bottom together. Rectangle eliminates lines outside inner box. Select colors between White | Black | Red | Green | Blue | Yellow. Up to four custom frame guides plus one preset frame guide can be displayed at the same time. Horizontally stretches image to correct for use of optical anamorphic lenses. Image altered on OLED screen as well as SDI and HDMI outputs. Does not affect recording. Options are labeled in squeeze multiplier and displayed aspect ratio. Full Frame options always show full width and height of recorded signal. Center Extraction options show popular extracted frames. The image on the OLED can automatically flip to match the orientation of the screen if needed, or this feature can be disabled. This allows for flexible mounting of the Odyssey. While the Odyssey’s OLED screen provides an excellent image with intuitive touch screen controls and information displays, sometimes one does not want to see it all. The Hide function can be set to make either the controls & displays disappear or the video image go black. A tap anywhere on the screen brings the full display back. The Odyssey comes pre-loaded with numerous preset LUTs and additional LUTs are available for download on this website. Custom 3D-LUT files can be created and exported from software such as DaVinci Resolve and Pomfort LiveGrade as .CUBE files and converted for use in the Odyssey using the free 3D-LUT App. When a particular LUT has been used in monitoring on a shoot, the normal practice is to apply that LUT to the dailies, so that the image seen in editorial is the same as the one seen on set. The Odyssey records an XML sidecar file with each clip recorded, and the LUT active when a particular clip was recorded is stored in the tag. This can be used to identify what LUT should be applied to what clips. LUTs can be output in various ways depending on the application.